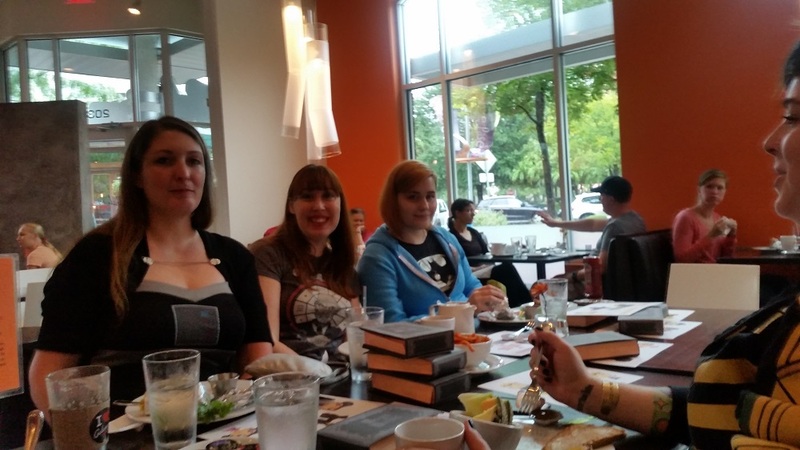 The Geek Girl Brunch Austin chapter hosted an October “Heroes and Villains” brunch. Even though the weather outside was cold and rainy, our brunchettes still managed to turn out to have a fun time! We all met at the local Galaxy Cafe. 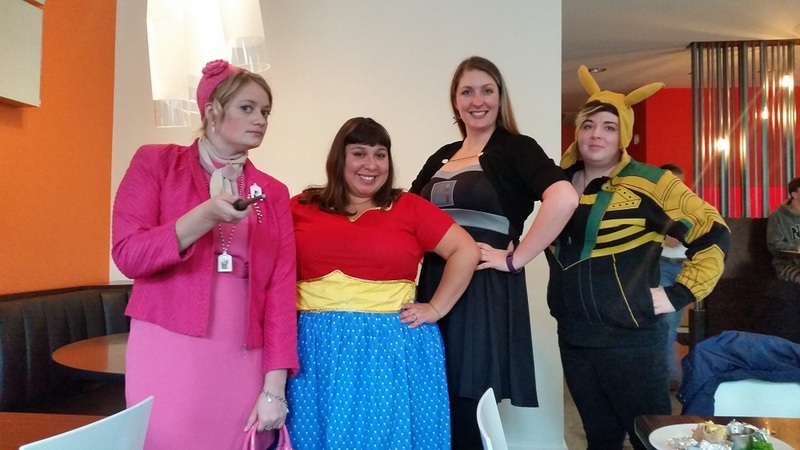 Since our theme this month was Heroes and Villains, a few of our crew dressed up for the occasion! 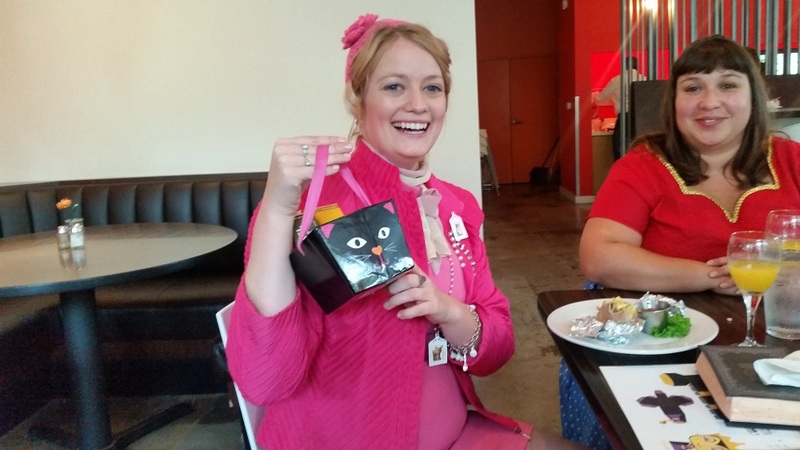 Our winner of the costume contest, flaunting her candy filled prize. A very fitting treat for a cat loving character. We had some new faces this month, as well as some returning members. 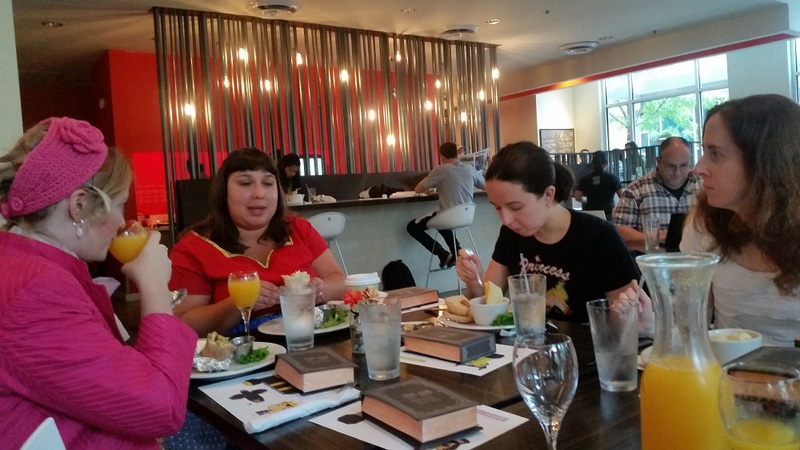 Brunch topics included: what books we’ve been reading, popular TV shows , and of course the new Star Wars movie. I love the range of conversations we have at each brunch. It’s always nice getting to know one another and discussing our shared passions, whether that’s roller derby or podcasting! Everyone seemed to have a good time, and there was talk of having an impromptu “Puzzle Room” meetup. And of course there was swag! 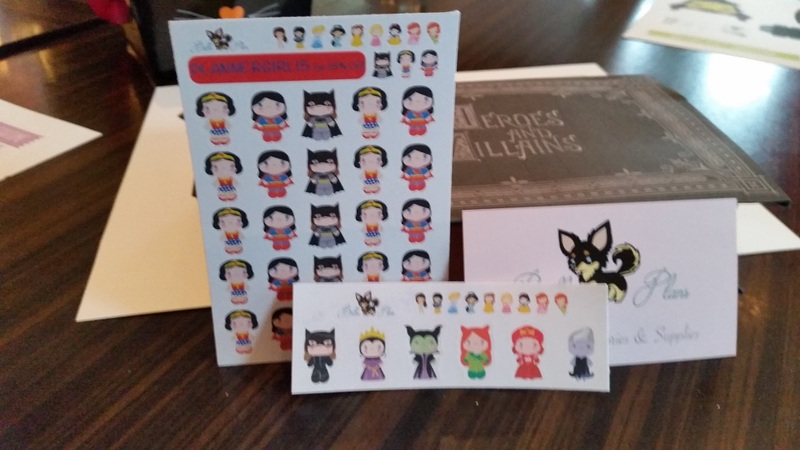 Each member walked away with a handmade “Heroes and Villains” box. 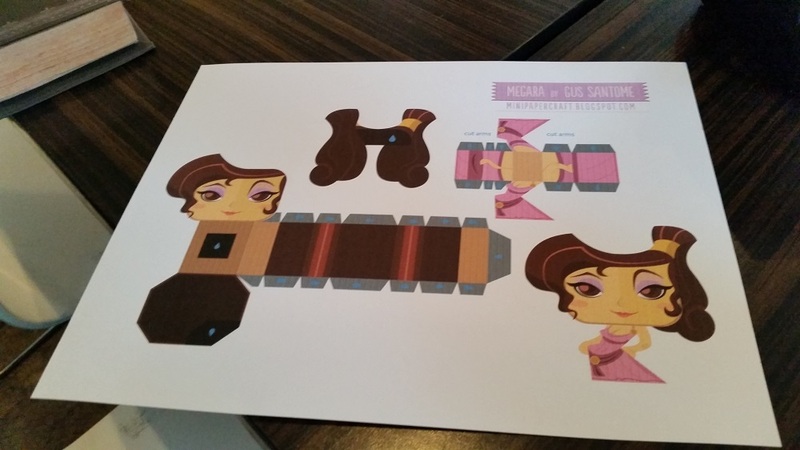 The templates for these were purchased from “Miss Frights Delights” over on Etsy, and crafted by GGB Officer Megan. Thanks Megan! In each box were two sheets of stickers with female heroes and villains. The stickers were provided by “Bella Plans”, another Etsy seller. 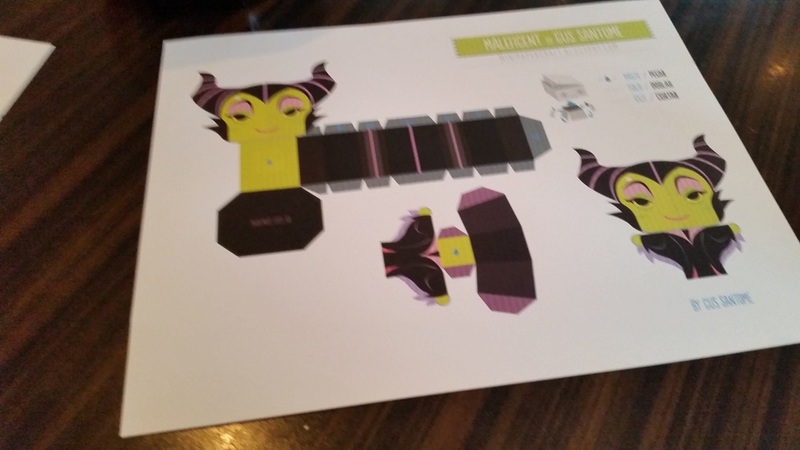 Lastly Gus Santome provided these fun papercrafts for our members to enjoy. Thanks for sponsoring this month’s brunch! 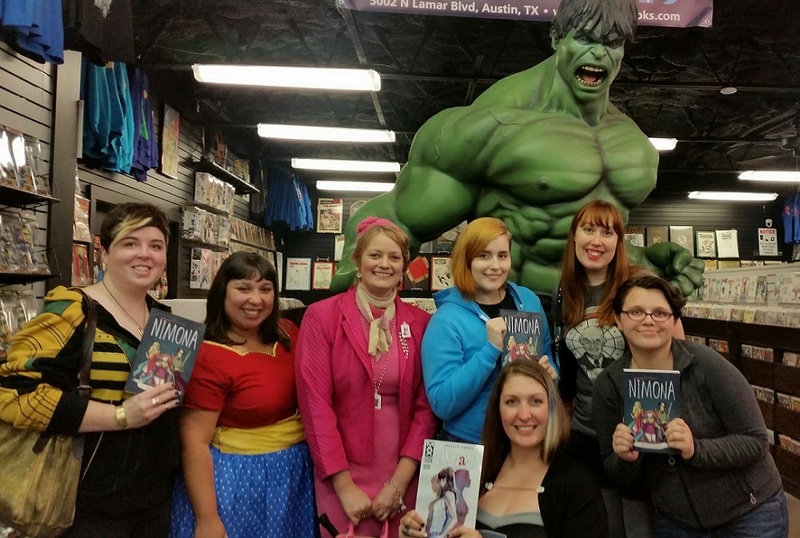 After we ate our fill, our merry crew headed over to Austin Books and Comics to do a little shopping. This months brunch was a huge success! Thanks to all the ladies for braving the crazy weather and joining us. Our theme next month will be “Comics and Donuts”.